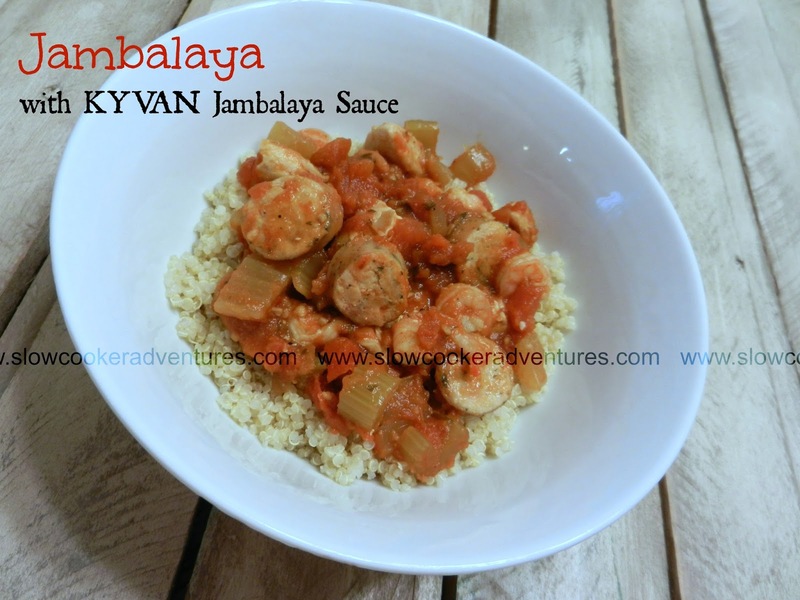 A Busy Mom's Slow Cooker Adventures: KYVAN #Review and #Giveaway! 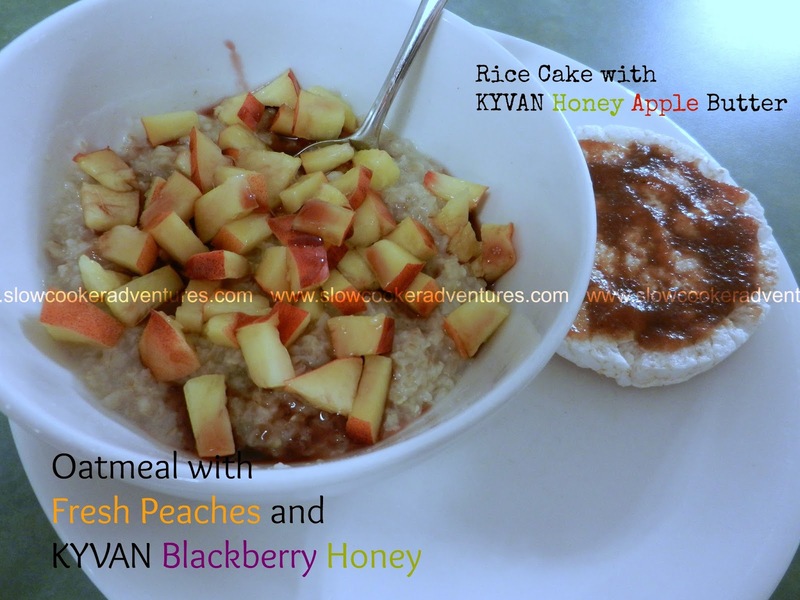 Disclaimer: I was sent 4 KYVAN products to try in exchange for this review as well as hosting a giveaway. All opinions expressed here are entirely my own and may differ from others'. IMPORTANT: You're going to want to read ALL the way to the end of this post because there are some yummy recipes and a GIVEAWAY down there!!! So.....read away! I am so incredibly grateful that Sheila of KYVAN foods contacted me about her products! 4 of them are gluten-free and I had the extreme pleasure of trying all 4 of them! Oh my goodness!!! It's funny because I emailed Sheila after each time I tried one of the products in a new way. They are SERIOUSLY delicious! A little bit about Kyvan; Kyvan was created by Reggie and Sheila Kelly. Reggie is an NFL athlete and he and his wife started their own food line called KYVAN. Kyvan is named after their 2 chidren because just like thier kids are unique, so are their products. They have products that cater to your breakfast, lunch and dinner needs. Some of the products are all natural,a nd some are gluten-free. Kyvan products can be found in various stores, including Walmart, PigglyWiggly and Barnes & Noble, or on amazon.com as well. Ok, ok, ok....so you know by now that I like the products. Actually, I LOVE the products! I have the pleasure of trying a lot of food products, but these stand out above the rest. So, what did I try?! I tried The Blackberry Honey, Honey Apple Butter, Honey Apple Salsa and Jambalaya Sauce. When my box came, I opened it excitedly! My daughter begged me to try the honey, so I opened that first. O.M.G!!! It's seriously delicious! I used it a few ways. 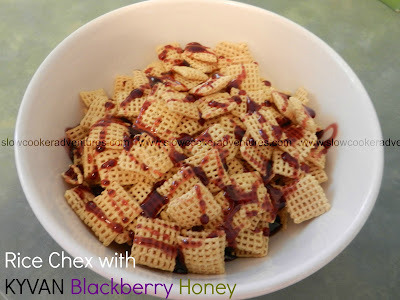 First, I used it simply over some rice chex with almond milk. Yum! It was the perfect amount of sweetness! 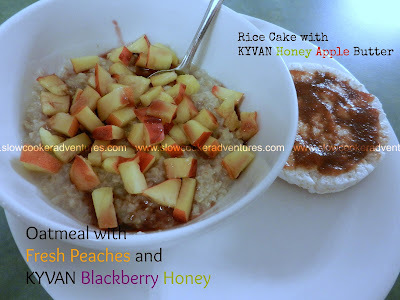 Next, I tried the Blackberry Honey in my Gluten-Free Oatmeal with some Fresh Peaches! I actually ate this as my dinner that evening. It was incredible! As you can see, I had a side of a Rice Cake with Kyvan Honey Apple Butter. Let me tell you, the Honey Apple Butter.....there are no words for the deliciousness it is! It is very low in calories and very low in sugar. There is actually no added sugar, but it is naturally very sweet. This means, it helps take the edge off of any sweet tooth craving you might be having and give you a healthier alternative. My kids are in LOVE with the Honey Apple Butter by the way. It's also great on a Rice Cake with a little bit of cream cheese and the Honey Apple Butter on top. You could do this with a bagel or English muffin as well. Being gluten-free, I find rice cakes to be my alternative to bread in the morning. One of my favorite snacks is Bananas with Honey when I'm having a late night sweet craving. 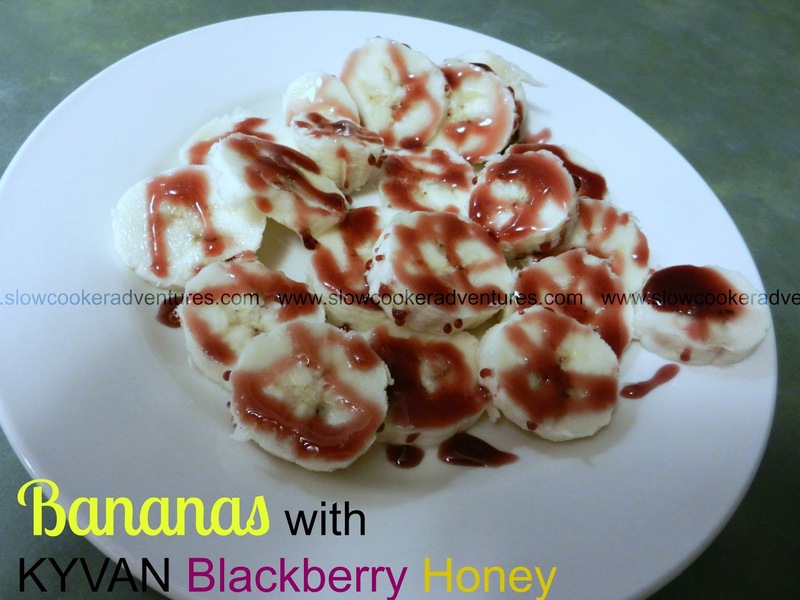 I used the Blackberry Honey over my bananas and it was delectable! In a pan, cook the chicken with the olive oil. When it is about halfway cooked, add in the sausage. and sauce. Give it a stir. Give it just another minute to heat through then serve over Quinoa or Rice. 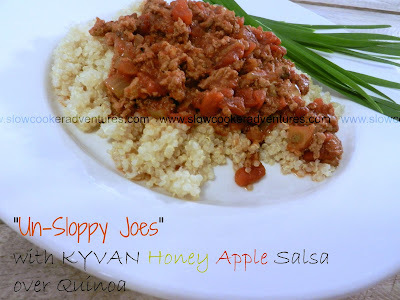 I also made a delicious "Un-Sloppy Joe" dish with the Kyvan Honey Apple Salsa. By the way, I tasted the Honey Apple Salsa before I cooked with it and I could have eaten the whole jar with a bag of tortilla chips, no problem. It is addicting. In a good way. 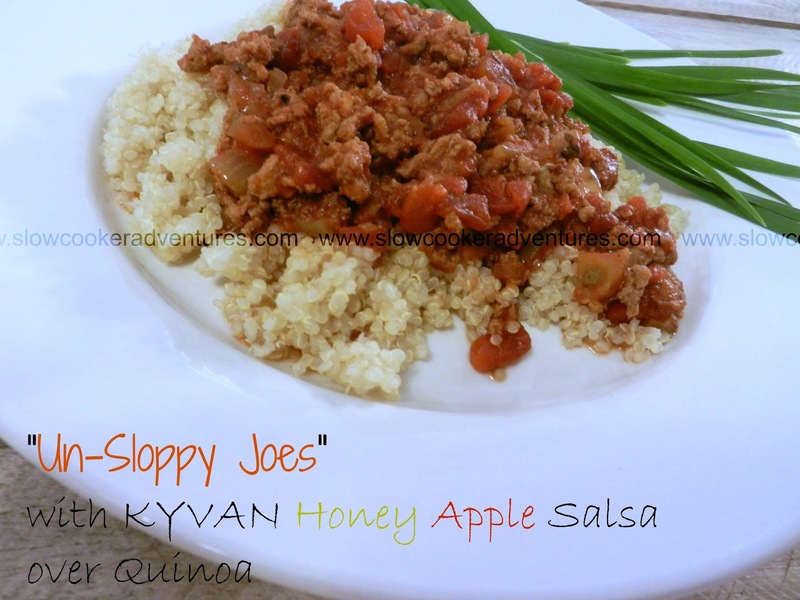 It was amazing in my "Un-Sloppy Joes'' and my husband and kids couldn't stop telling me how incredibly good dinner was and how much they love my cooking. It was a very good night for my ego. Thank you, Kyvan! You know I have the recipe for you!!! I can't tell you enough how good this is!! You are going to LOVE it! In a pan, brown the turkey with the salt, pepper and chili powder. Put the cooked ground turkey into the bottom of your slow cooker. taco seasoning, tomato paste and water. Serve over Quinoa. I cooked my Quinoa with half white wine and half water. Ok, are you READY FOR THE GIVEAWAY????!!!!!!! I know I am! One of my lucky readers has the chance to win the same 4 products I had the pleasure of reviewing! So, one of you will receive the Blackberry Honey, Honey Apple Butter, Honey Apple Salsa and Jambalaya Sauce. I'm so excited for you to try these products! You will NOT be disappointed! I am excited by this, too! Have never heard of this product, but it sounds wonderful. The apple salsa sounds delicious! I'd love to try it. I would love to try the Honey Apple Butter! The Honey Apple Salsa has me ready to try it first, but all 4 products sound great. I would love to try the Jambalaya Sauce! The blackberry honey sounds awesome. Honey Apple Butter for me! Blackberry Honey would be yummy!